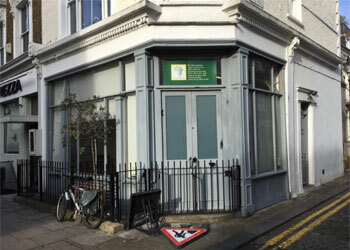 The property is situated at the junction of St.Lukes Mews and All Saints Road. Other businesses located nearby include West One Bathrooms, Edwins, Pret a Vivre blinds. View property map. £21,000 per annum exclusive, payable quarterly in advance. A new effectively full repairing and insuring lease is available for a term of up to 5 years, to be taken outside the security and tenure and compensation provisions of the Landlord & Tenant Act 1954. An EPC has been commissioned and a copy is available on request. The local authority has verbally informed us that the new rateable value for the premises is £27,000 and the rates payable for the current year ending31/03/18 are estimated at £11,922. Interested parties should make their own enquiries and confirm: - Royal Borough of Kensington and Chelsea business rates department 020 8315 2082.